Thursday, December 26 at 8:00 p.m. ~ Bingo will be played in St. Charles Hall. Saturday, December 28 from 10:30 a.m. to 12 Noon ~ Helping Hands Food Pantry in St. Charles Hall. 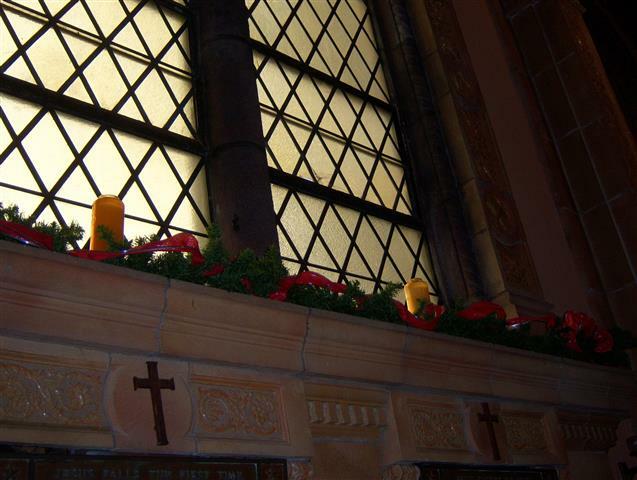 Sunday, December 29 at 2:00 p.m. ~ Christmas in the City at Ss. Columba-Brigid Church. Monday, December 23 ~ NO service. Tuesday, December 24 ~ Feast of the Nativity of the Lord ~ NO morning service. Thursday, December 26 ~ NO Service. Our Christmas Wish ~ Our wish for you as well as for us is that this child, who reconciled heaven and earth, will also bind us together in his love. May you all have a very blessed and joyful Christmas! An Invitation ~ Attention Readers, Eucharist Ministers, Choir Members, Ushers, Saturday Sacristans, Collection Counters, Bereavement Committee, Food Pantry Helpers, Catechists, Coordinators for Family Promise and the Prison Project: Father Reger asks that you reserve a little time after Masses on the weekend of January 4-5 to meet him in the rectory. Thanks to our 20 volunteers who worked together Wednesday evening, we were able to complete our first phase of decorating for Christmas. We appreciate everything you did to make the project move along so famously! Christmas in the City ~ We encourage you to invite family and friends to join us on Holy Family Sunday, December 29, 2013, beginning at 2:00 p.m. at Ss. 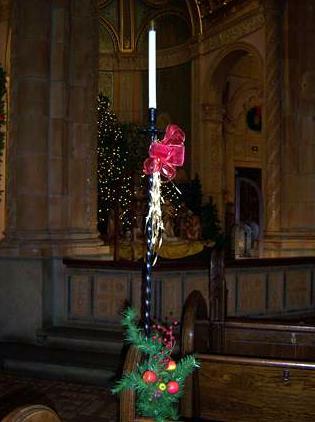 Columba-Brigid Church 75 Hickory Street at Eagle (one block S. of Clinton) for Christmas in the City as the Catholic Churches of Central Buffalo’s families, musicians, and choirs celebrate our Christmas Faith. Bring your favorite finger foods or Christmas cookies to share. International Crèches on Display ~ Father Roy Herberger invites you to experience a display of almost 400 nativity sets from 55 countries. These international crèches will be shown at Ss. Columba-Brigid Church located at 75 Hickory & Eagle Sts. The hours are from 1 – 4 p.m. every Saturday and Sunday in December and on January 4 and 5. There is no charge and there is a special section for children.